The People’s Democratic Party (PDP) since its defeat in the last election which took it out of power, seems to have learned a lesson out two. This is evident in the manner in which it has since been conducting its affairs – emplacing transparency in party primaries for state’s staggered elections; the organisation of its national convention and in how it managed the pockets of ripples the aftermath sprouted. 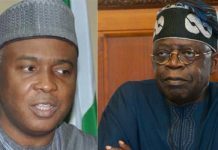 The handling of its house since it was ousted from power in 2015 after 16 years of governing the country shows it is making calculated efforts to win souls, enlarge membership and achieve large following so that it can regain power from the ruling All Progressives Congress (APC) in the next elections. Having made its home habitable for constituents and attractive to prospective subscribers, its status as the main challenger of the ruling APC becomes very sturdy. The party presently harbours the highest number of aspirants, with more than a dozen of its members rooting to contest the February 16 presidential election on its platform. RELATED: With over 10 presidential aspirants, what are the PDP’s chances against Buhari? As at today, no less than 13 members of the party are competing for its presidential ticket as it prepares for its national convention in October. Consequential candidates, they are: Atiku Abubakar; former Kano governor, Senator Rabiu Kwankwaso; Jigawa governor and former Foreign Affairs minister, Sule Lamido; former governor of Kaduna and chairman of the National Caretaker Committee of the party, Ahmed Makarfi. Also, former Sokoto governor, Attahiru Bafarawa; Governor of Gombe, Ibrahim Dankwambo; a former governor of Plateau and serving senator, David Jang; a former Minister of Special Duties, Tanimu Turaki; and a former member of the House of Representatives, Datti Baba-Ahmed. The list goes on to includes former Senate President, David Mark; current governor of Sokoto and former Speaker of the House of Representatives, Aminu Tambuwal, former governor of Kwara and incumbent President of the Senate, Abubakar Bukola Saraki. This is a record as the number of its presidential aspirants have not been this high since the party was established about twenty years ago. Its inaugural convention in 1999 held in Jos and paraded a relatively high number of aspirants – ten in total. That was when former president Olusegun Obasanjo emerged winner, beating Alex Ekwueme, Philip Asiodu, Don Etiebet, Graham Douglas, Jim Nwobodo, Francis Ellah, Richard Akinjide, Abubakar Rimi and Adisa Akinloye. Alhaji Rabiu Kwakwanso, with his political movement, the Kwankwasiyya Movement describes himself as a privileged and experienced politician, having started from the grassroots. Kwakwanso pledged to tackle the issues of power, education, health, as well as redeem the infrastructural deficiencies in the country. Mr. Makarfi wants to fix the security and economic challenges, unemployment, which he considers as threats to the unity of the country because of mutual suspicion of one another, corrosion of what binds us as one entity, government at conflict with itself. Mr. Lamido believes the country has not fared better in terms of security, economy and anti-graft war, on which they anchored their manifesto, citing herdsmen killings and the resurgence of Boko Haram atrocities as some of the failings of the present government, which he wants to work on to put the country on the part of progress. Mark bears a blueprint ‘tagged 730’ through which he hopes to address critical areas of Nigeria’s national life, while promising to tackle poverty, unemployment and neglect which he said have forced some of Nigeria’s youth to undertake the very risky route of going through the Sahara Desert and the Mediterranean Sea in their quest for greener pastures in Europe. Atiku holds the view that without job security, we cannot have security in the country, and that without jobs, there is no future for Nigerians and Nigeria. Atiku says he’s good at job creation, noting that he has created over 50,000 direct jobs and 250,000 indirect jobs in Adamawa, his state of origin. He is of the view that Government can create the right environment for businesses to create jobs. Saraki captures his message to Nigerians in the Grow Nigeria campaign, which speaks to the need for wholesale growth of Nigeria. He says he regrets Nigeria’s tag as the poverty capital of the world in the midst of plenty human and natural endowments. For him, Nigeria should not have business with poverty, underemployment or unemployment if it gets her leadership question right. 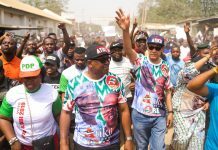 Saraki’s Grow Nigeria agenda rests on the hub of wealth creation, drastic reduction of poverty and security of lives and property as a respite for the need to urgently reposition Nigeria for a better future, the same which he calls his reason for contesting for the presidency. He is also very passionate about inclusive governance, restructuring and unity. While the juxtaposition of candidates and their campaign messages in the foregoing gives the impression that candidates within the fold of the PDP know what the challenges of the country are and are willing to fix them, their manifestoes seem to be within proximity to one another. 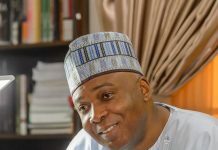 However, the messages of Nigeria’s Senate President, Dr. Bukola Saraki seems to be most impactful, especially with regards to helping Nigeria’s economy, given that wealth creation and security are factors that would guarantee the progress of a nation, which Saraki captures in his Grow Nigeria theme. RELATED: Will the 2019 election be a repeat of 2015? Moreover, whoever emerges among these men in October’s convention would have the incumbent President to compete with for the nation’s first job. The incumbent with his over-flogged message of change has his work cut out for him, as Nigerians are currently very dissatisfied with the state of the nation. Whoever gets the party’s ticket would not necessarily mean a better personality than others but would mean the one with the best message and policies to move the country out of the dire straits it currently in. Previous articleWho is Jide Sanwo-Olu, Ambode’s political nemesis?